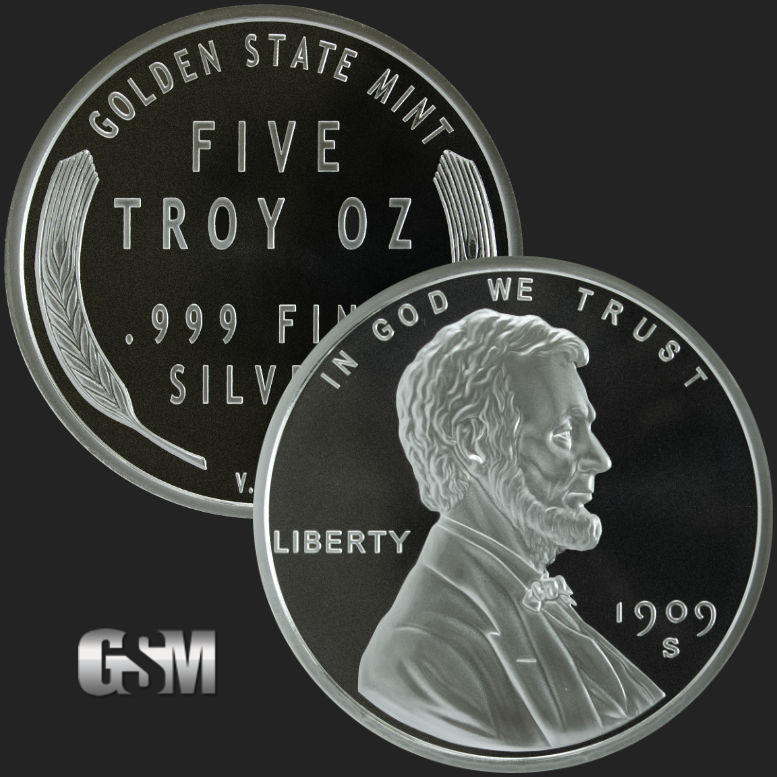 This brilliant round displays the side profile of our 16th US President, Abraham Lincoln. The designer of this historic piece was Victor D. Brenner, and his initials V.D.B. 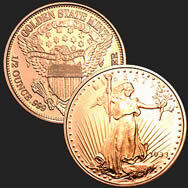 may be found on the reverse between the two wheat stalks. 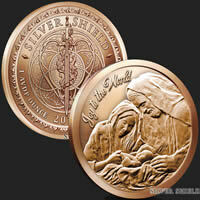 It was issued in a limited quantity to commemorate the 100th anniversary of Abraham Lincoln's birth. 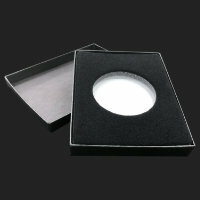 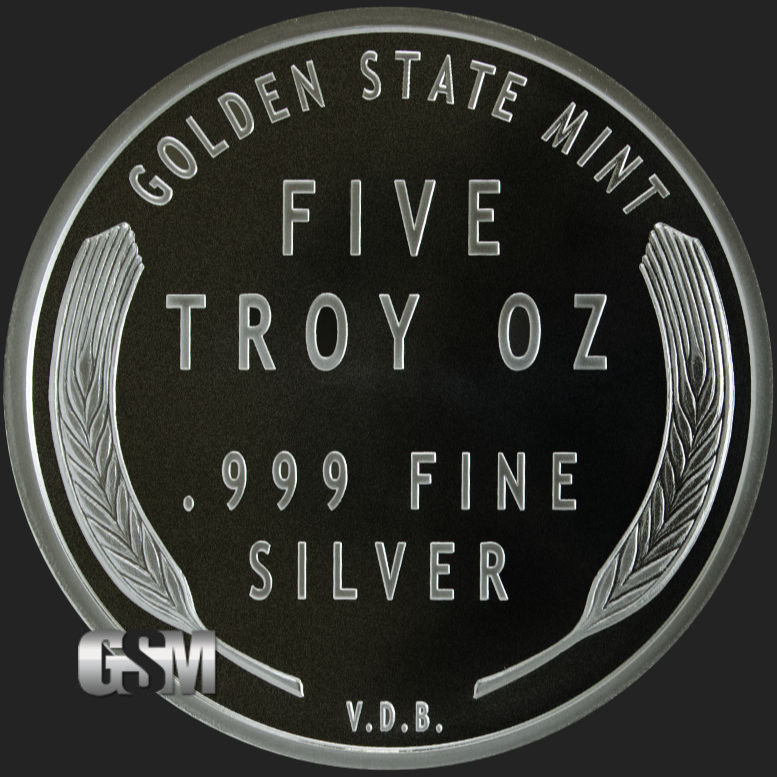 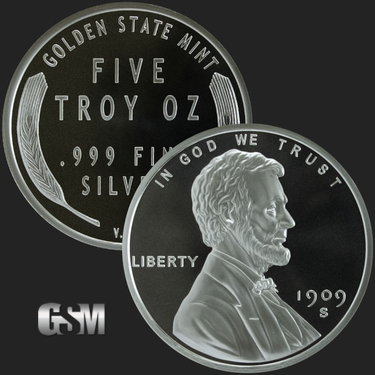 The Lincoln round contains 5 Troy Ounces of .999 fine silver and is a great investment. 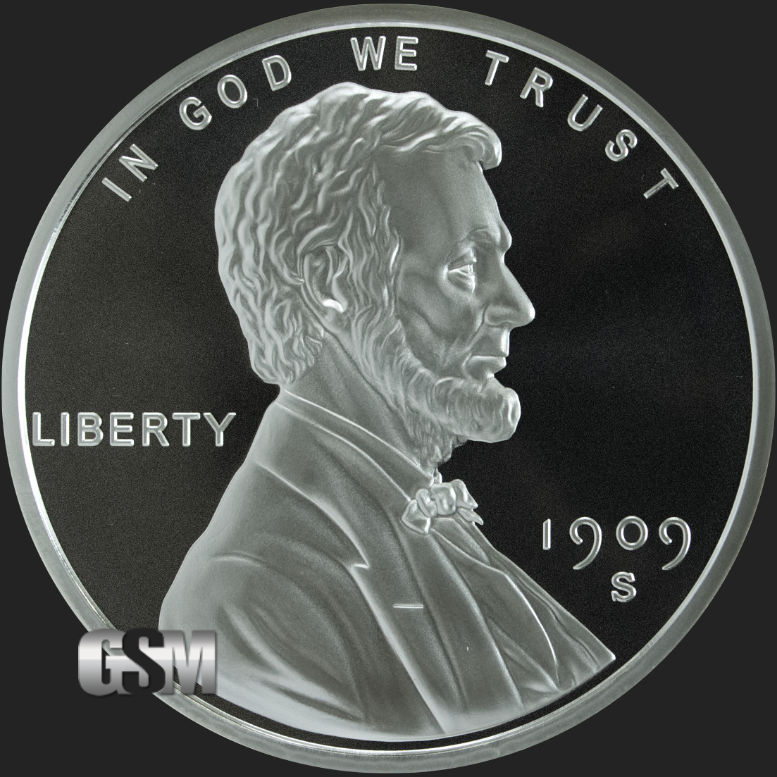 Pay reverence to one of the most respected United States President by buying the 5 oz .999 fine silver Lincoln Round today. 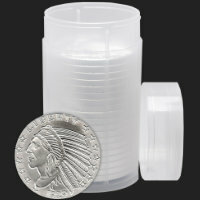 If you liked this product, you should check out our 5 oz Copper Buffalo, 1/10 oz Silver Buffalo, and 1 oz Copper Buffalo. 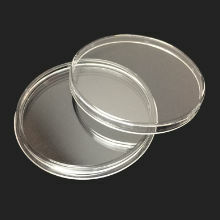 Diameter (≈): 64 mm | 2.519"
Thickness (≈): 5.51 mm | 0.217"